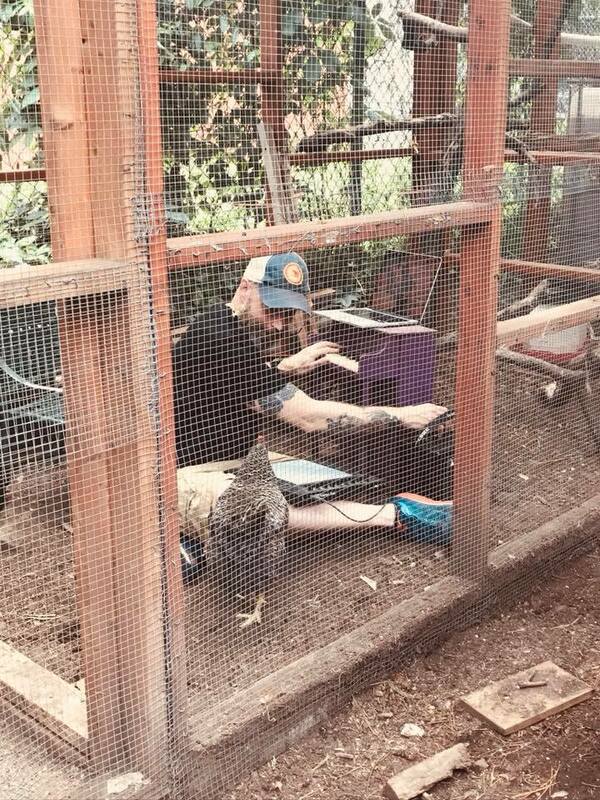 Last Saturday, I premiered a new piece in the chicken coop of the Warren St. Marks Community Garden. I was invited to be a part of this Garden Theater fest by curator (and good friend) Emerie Snyder. Emerie assembled a variety of artists to create and perform site-specific pieces on the theme of “overlooked details,” and it was a really magical event. I was so proud to be a part of it. My first idea was to do a straight up storytelling piece, but Emerie pointed out that it needed to have a reason to be performed at the garden, and my idea really could have been performed anywhere. Collaboration, y’all. I need that so bad. Anyway, I stewed and stewed about what I would do, in spite of how obvious it should have been that the piece needed to be about the chickens. I think there was a part of me that didn’t want to do another piece about animals because I am so wrapped up in the Book/Album project and the show has been on my mind so much for the past few years. But once I finally allowed the idea of the chickens in, the piece almost immediately began to come clear. The chickens in this garden seem to have a perfectly lovely life, they are cared for, have a beautiful space in which to live….right? Of course, the overlooked detail here is the absence of roosters. These chickens came from somewhere, but where are their brothers? It was interesting to perform this piece for what I assume was a mostly non-vegan audience. I don’t know if posing this question sparked any of them to investigate further, but I sure hope it did. If you are reading this, and you don’t know where these chicken’s brothers probably wound up, I invite you to investigate for yourself. This video from Bite Size Vegan is a great place to start.